and bowed by sheets of savage rain. of watching drops clatter on sills. lovely, and it is raining here too, so I can relate. 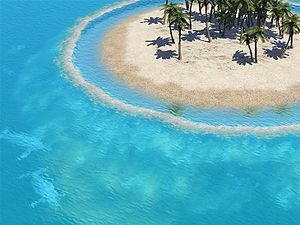 I would like a little holiday there in the sun, before it gets too hot there! Those cats made me smile. What ever happend to our climate! So nice to see the word “Hosepipe”! My husband always corrects me with “water hose”. Thanks very much Ina! Yes, it’s the irony, we are surrounded by sea but are short of water! Well, there are ways to desalinate seawater. read about the recent ban you are talking about ….most parts of our world is suffering from drought. I love that idea.. yes, a “weather remote” would be wonderful.. I hope your rain ends soon.. perhaps you could send it on to dusty old Calgary? Love this poem today! My mind eased into the images that your words brought to live within…i could go for some some, pina coladas and the ease of watching life pass a little slower! And like in Hawaii, i would not mind a small afternoon shower! Its beautiful my friend! Wouldn’t that be great to have a weather remote? On the down side, all complaints about the weather would land on your desk! I know my cats think I have a “weather remote.” Well done! Thank you very much Soma – I really appreciate your thoughtful comments. Thank you very much Cynthia – I do appreciate it. Thank you very much, I’m grateful – and kindest regards to you and Calgary! Susan, thank you very much, I am grateful for your nomination! Thank you very much, Wendell, I am grateful. Thank you very much Mark – I appreciate your comments! Thank you very much Mags! Debra – thank you very much indeed! Thank you very much Russell! This is beautiful. I love writings of the weather. Fantastic!! This became more and more amusing as it progressed. And I love the way you transfer from one subject to another so seamlessly – echoes of Billy Collins I feel, one of the very few poets I am learning about and reading. And the daffodils and tulips have been savaged by snow too!! Crazy! and bowed by sheets of savage rain.” – rings very true! It happens so often too… though, perhaps not just yet seeing as though we’ve had our glorious weather interrupted by a freak snow-storm yesterday! I don’t think the weather knows what it’s doing any more! Hi, Christine! Thank you very much, I haven’t read any Billy Collins to be honest, so I will look him up. I’m grateful. You have done it yet again….love what you see here, and how you weave your real life into the fantasy of “living with it” sipping your pina colada. Thank you so much – I do appreciate your comments. Dear DF, follow the example of your cats–they truly know how to enjoy a rainy day indoors! Love this poem, for I feel your light-heartedness in it! Thank you very much Granbee! Sounds like you’re writing about our area, David! And I too believe our cat thinks we control the weather. Oh, for a nice, warm sunny day (like we used to have in April). I could go for that too. Enjoyed this, and can empathize!! Brian, thank you very much, I am very honoured and grateful! It would be wonderful escape to that lovely island in the ‘bottlegreen shade’ (I love that descriptor!) and revel in the beautiful weather. We exchanged spring for winter and summer for spring here this year and we are well on the way to drought also…it has hardly rained for weeks. I love the tone, voice, and pace of this, it feels very natural and I can picture it all so clearly.